Padraig Harrington summed up the challenge in trying to pick a winner of the 147th Open Championship in characteristic style, Phil Casey writes. “I’m not sure if this is going to be the toughest Open ever or the easiest Open,” Harrington, who won his first major at Carnoustie in 2007, said in his pre-tournament press conference. 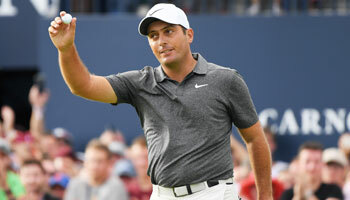 The reason for Harrington’s dilemma is the unusual state of the course, which is playing so hard and fast that the three-time major winner drove into the Barry Burn in front of the 18th green in practice – and he was far from alone in reporting prestigious feats of distance. However, the greens have been watered and are reportedly receptive, leading to the possibility – as at Gullane for last week’s Scottish Open – of a host of low scores, highlighted by Brandon Stone’s closing round of 60 which gave the talented South African a place in the field. Tommy Fleetwood holds the Carnoustie course record with a 63 recorded in last year’s Dunhill Links Championship, although players are quick to point out that the course has to be set up with their amateur playing partners in mind that week, with friendly pin positions and no rough. And Fleetwood agrees with Harrington that the biggest problem this week could be choosing clubs to stay short of the penal bunkers, which in turn leaves much longer second shots into the greens. “The great thing about this golf course is that you can’t take all the trouble out, you’re going to have to take some risk,” Harrington added. Well, the fact remains that since Darren Clarke and Keegan Bradley won the last two majors of 2011 when ranked 111th and 108th in the world respectively, the lowest-ranked winner of any major has been Jimmy Walker, who was 48th when he won the 2016 US PGA Championship. And it is also true that the last two Open winners at Carnoustie, Paul Lawrie and Harrington, would be considered links experts. 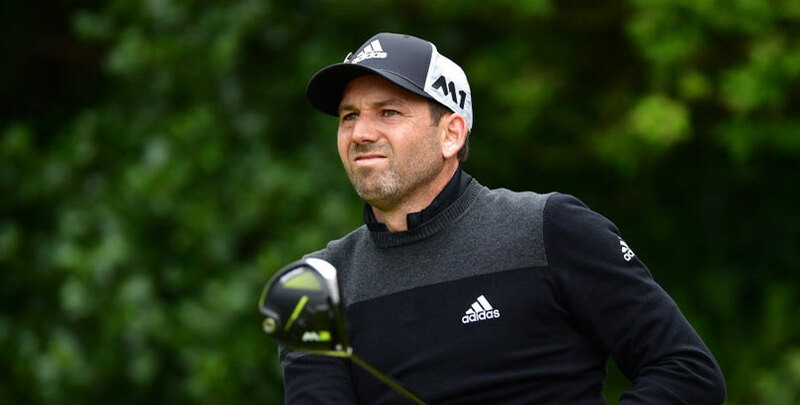 So with everything taken into consideration, our first choice is world number 19 Sergio Garcia, who famously lost a play-off to Harrington here in 2007. 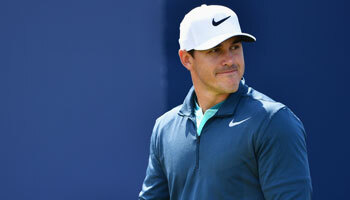 Garcia missed the cut in his defence of the Masters title in April, although he was perhaps understandably distracted following the birth of his first child Azalea, named after the 13th hole at Augusta. A return to Europe has yielded two top-12 finishes and Garcia also has 10 top-10s in the Open since 2001, including three in the last four years. But with attention largely focused elsewhere, Garcia is pleasingly available at 30/1 in an each-way market which pays seven places. Another player whose price is surprisingly not lower is our second selection, Garcia’s successor as Masters champion Patrick Reed. Reed’s form in his last three major championships reads 2-1-4 and he acclimatised to the conditions with a tie for 23rd at Gullane thanks to rounds of 65, 69, 69 and 67. The 27-year-old puts his recent major form down to treating them like any other tournament and that relaxed approach can hopefully result in a return at 33/1, again in the each-way market. Our final choice in the each-way market should hopefully give us a good run for our money, Japan’s Hideto Tanihara being available at an eye-watering 350/1. Tanihara was fifth at Hoylake in 2006 when conditions were very similar to this week, reached the semi-finals of the WGC-Match Play in 2017 and carded a second round of 61 in last week’s Scottish Open. And finally, the top Danish player market has just two runners in 1/5 shot Thorbjorn Olesen and 3/1 chance Nicolai Hojgaard, with the latter favoured to pull off the upset following his recent win in the European Amateur Championship. Olesen’s recent form figures of 1-MC-2-MC-6 shows how he tends to blow hot and cold and his Open record is poor since his solitary top 10 in 2012.